NEW ORLEANS—Larger tumor size is associated with high-grade pathology in patients with pT1a renal cell carcinoma (RCC), according to study findings presented at the 2015 American Urological Association annual meeting. Jeffrey A. Larson, MD, of the Washington University School of Medicine in St. Louis, Mo., and colleagues identified 975 patients with T1a N0M0 RCC treated with robotic-assisted partial nephrectomy. The clinical tumor size was 2.84 cm in patients with high-grade pathology and 2.56 cm in patients with low-grade pathology, a size difference that was statistically significant, the researchers reported. In multivariate analysis, larger tumor size was associated with a significant 62% increased odds of high-grade pathology. The study also found that male patients had a significant 66% increased odds of high-grade pathology compared with female patients and papillary RCC was associated with a significant 73% increased odds of high-grade pathology compared with clear-cell RCC. 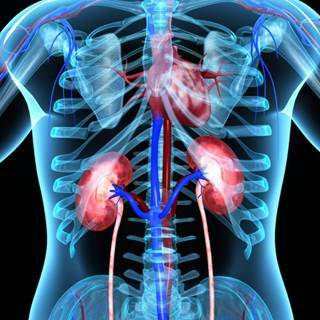 The authors noted that, with an increased focus on the use of renal mass biopsies and surveillance of small renal masses (SRMs), the confirmation of the size to grade correlation of pT1a RCC allows urologists to predict more accurately which SRMs are appropriate to treat and which might be safely surveyed.